Squeal! I am beyond excited to show you the newest Bible Journaling Devotional Kit from Illustrated Faith! It took awhile to arrive on my doorstep due to some big changes they made to the kits, but it was so worth the wait! This is the first kit of three for Revival Camp this year. This is the third year they have done Revival Camp, but it was all digital in the past and you had to print the content yourself. 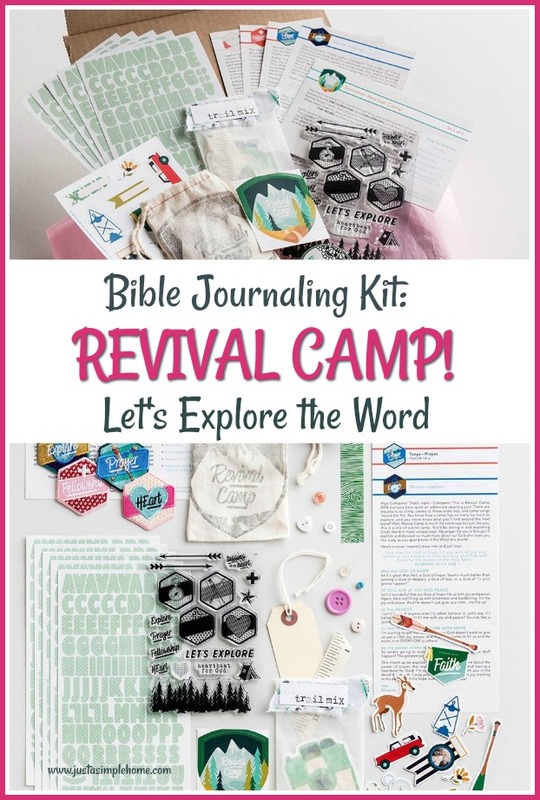 I love that they changed it up this year and made their Monthly Devotional Kits fit the Revival Camp theme! It’s so fun! Make sure to watch the video to see what is included and also get all the details if you are not familiar with Revival Camp. It is something you will want to join in on! DaySpring did send me this kit to review for you but all opinions are my own. The July and August kits are sold out, but you can still grab the last Devo Kit in the series. If you have all three, great! If you only go through one with us, that is ok too. All the Kits do coordinate with each other beautifully, but they can stand alone as well. I hope that gave you some creative ideas! I can’t wait to see how everyone uses their kits throughout Revival Camp! Don’t forget to use the hashtag #if_revivalcamp2018 so we can connect on social media. I have loved seeing how everyone is working through camp this summer!